Transitions enthusiast H.E. Rybol is back with her first guest of 2017. Meet my fellow ATCK Diahann Reyes-Lane. You might know her already from Elizabeth Liang’s lovely interview for TCK Talent. If you don’t, Diahann is a former CNN journalist and Hollywood actress who now works as a coach for writers and artists. In her own creative life, Diahann is a blogger, writer, and performer. In Stories From The Belly, her blog about “the female body and its appetites,” Diahann addresses feminism, body image, identity culture, food and travel. Her poems and essays have been published in WriteGirl anthologies Emotional Map of Los Angeles, You Are Here and No Character Limit. She has written a number of chapbooks: Howl Naked Raccoon the Moon; Moon Goddess; and Basketball Dome of Tears. And she has performed at the Hollywood FringeFestival and read her stories at Beyond Baroque in Venice. Currently, she is working on a memoir as well as a solo show. Diahann lives in Los Angeles with her husband and their five cats. She kindly took the time to share some of her cultural transition stories with us. Join us as we talk about TCK burnout, courting customs in Manila (just in time for Valentine’s Day! ), and various forms of therapy. Hi Diahann, welcome to Culture Shock Toolbox! So where on our beautiful blue planet did you grow up? I was born in the Philippines. I learned to speak my first language, English, with a Kiwi accent at age one when my dad’s company moved us to New Zealand. We lived there for almost two years before moving back to Manila. When I was eight, we moved to Argentina for two years. Buenos Aires is still, to this day, my favorite city where I’ve lived. Two years later, we landed in Pakistan, where I spent the fifth grade. We stayed for a little over a year before migrating to the US. This was supposed to be our final move, but when the Marcos regime was overthrown, my father moved us back “home” to Manila in 1987. How well did you settle down once you found yourself back in your passport country? Our repatriation to the Philippines was brief. It was less than a year before my dad’s company moved him to Indonesia. I spent my senior year in Jakarta before moving back to the United States for college. I’ve been here ever since—going on 27 years now. I consider my long stay in this country a far more exotic adventure than moving countries all the time, which had been my norm for so long. That’s very interesting. You mean you found staying in one place more exotic than travel? Yes, learning to live in the same place has been a bigger adventure because moving, I knew how to do. Going to a new school, I knew how to do. Moving out/into a new apartment/house/neighborhood, I knew how to do. It was what my family did the whole time I was growing up. Until I turned 18, I moved to a new school, if not country, almost every year. I had no idea what it was like to have friendships that lasted beyond a school year. My sophomore year at UC Berkeley was a challenge because I didn’t know how to have ongoing relationships and I had to learn how to do that as a young woman. I used to think “what if”, mourning the losses of friendships and budding romances that surely would have blossomed if only I didn’t have to move again. I now know that sometimes, even when you live in the same zip code with people, friends drift apart and romances die for reasons beyond geography. I hear you. And that’s a lot of moves. I’m guessing that, for you, like many of us Third Culture Kids, your most difficult re-entry shock occurred when you returned to your birthplace? Yes, since Manila was “home”, I assumed there would be no transition. I thought I’d be like everyone else, for once, since I was no longer a foreigner. To my dismay, I still was an outsider. I didn’t know the customs or social rules any more than I did when I’d moved to the other countries. I was hard on myself about this because I assumed that I should know because I was a Filipina citizen. Did you ever put your foot in your mouth when you were back “home”? One example that springs to mind occurred during junior high school in Manila. A boy from another school was “courting” me. This was the eighties, so I’m not sure if courting is still what kids do nowadays. Basically, he was wooing me to be his girlfriend. But I wasn’t interested in him and I didn’t want to lead him on. I told the guy straight out—nicely, in my opinion—that I just wanted to be his friend. That’s what I would have done had I still been in living in the United States or studying at an international school. When I told my classmates about what happened, they made clear that this was a breach of etiquette. They said I should have allowed him to keep courting me until he finally asked me to be his girlfriend. Only then should I have let him down. Instead, I’d embarrassed him. Would you handle that kind of situation differently today? Any “tools” you can recommend for the rest of us who are feeling some of these emotions? Reading books about culture shock and re-entry culture shock helped. I discovered I wasn’t the only one having these experiences and my behavior, reactions, and mental and emotional state because of all the moving was normal. Until that point, I thought I was losing my mind. I couldn’t stay grounded in my body or any place or culture. Also, I wrote a college paper about re-entry culture shock, and the research I did for it was eye opening and healing. It also helps to have friends who have also lived the expat life and know what that’s like. Oh—and therapy. I recommend getting a good therapist. I like your recommendation of consulting the experts, whether it’s through books—we might call them operations manuals—or conversations with therapists who understand the TCK and expat mindset. Can you think of any transitions you made that were particularly smooth? I’m inclined to say my move back to the United States to study at Berkeley was the easiest. I made friends right away and jumped right into college life. I didn’t miss Indonesia at all—probably because I’d lived there only for a year and hadn’t wanted to move there to begin with. (This had nothing to do with Indonesia—more that I was tired of moving.) But what I didn’t realize was that I’d not yet dealt with the accumulation of culture shocks and re-entry culture shocks I’d amassed in my psyche over the years. Inevitably, all of that would catch up with me eventually. Yes, the compound effects of all those transitions is such an interesting subject! What advice do you have for expats or TCKs who are experiencing expat burnout or change fatigue? I’d advise expats and TCKs to understand that the psychological and emotional fallout of multiple moves around the world are real. Recognize what is happening to you, proactively rather than reactively. Read and write about it. For me, writing that college paper about re-entry shock was a formative experience. I finally understood the effects that moving so many times while growing up had had on my development. Lastly, do you have any advice for parents of kids like us? For parent expats, I’d recommend letting your kids know that they, too, will be subject to culture shock. I’d suggest making space for your children to process their feelings and deal with the losses that can come from moving countries and cultures. Yes, there are plenty of gifts and benefits from being a global nomad, but there are also drawbacks. Ignoring the negative effects can be harmful. Granted, kids generally adapt more easily than adults, but this can also make it harder for them to stay grounded and cultivate a solid sense of self. Thank you so much for sharing your stories, Diahann. I agree, some of the best advice for those who feel culture shocks piling up is to try to stay grounded: actively engage in activities that make you feel grounded in the place you are right now. How about you, Displaced Nationers? What makes you feel grounded? And do you have any “manuals” or “experts” you’d recommend for getting through the difficult cultural transitions and/or their cumulative effect? Let us know! And if you like Diahann’s prescriptions, be sure to check out her Website and blog. You can also follow her on Facebook and Twitter. Well, hopefully this has you “fixed” until next month/year. STAY TUNED for next week/year’s fab posts. CULTURE SHOCK TOOLBOX: Expat mums, time to loosen your worry nut: relax, write funny stories & try not to embarrass your kids! Photo credits: First visual (collage): Culture shock toolbox branding; photo of Sine & family, her book cover and her blog banner (supplied); View over Stuttgart-South and Stuttgart-Heslach and the “Karlshöhe”, Germany, by MSeses via Wikimedia Commons; and A rainbow over Joburg about two hours ago, by Derek Keats via Flickr (CC BY 2.0). Second visual: Hamburger via Pixabay (moustache vector art from iPiccy). Third visual: Embarrassed boy, happy faces and wrench via Pixabay; Australia v England Netabll [sic] Test, by Naparazzi via Flickr (CC BY-SA 2.0); and Traditional protective cup, by Scoty6776 via Wikimedia Commons. Fourth visual: Great white shark, by Michiel Van Balen via Flickr (CC BY 2.0); and tennis player via Pixabay. The last time we heard from American expat in Hong Kong and aspiring writer Shannon Young, she was hatching some big plans for 2016. So, how many books has she managed to crank out since? Prepare to be amazed…! Finish and publish Ferry Tale, a love story set in Hong Kong, under the name Shannon Young. Compile and publish a box set of the Seabound trilogy. Finish and publish Duel of Fire, the first book in my new fantasy series, under the name Jordan Rivet. #3 Duel of Fire is finished, edited, polished, and formatted. It went on sale last Friday, April 1st, right on schedule (no fooling!). Here is the cover from Deranged Doctor Design. PLEASE NOTE: It costs $0.99 for the first week, so definitely pick up a copy SOON if you like sword fights, magic, adventure, and a hint of romance! I’m currently hard at work on the sequel, King of Mist, which will come out in May. What’s in a (pen) name, really? You might notice that these books are published under two different names. Shannon Young is the name given to me at birth, and I picked my pseudonym, Jordan Rivet, myself. Have you ever wondered about that, Dear Diary? Were you thinking I might have a dual personality? You probably wouldn’t even be looking at the same lists. 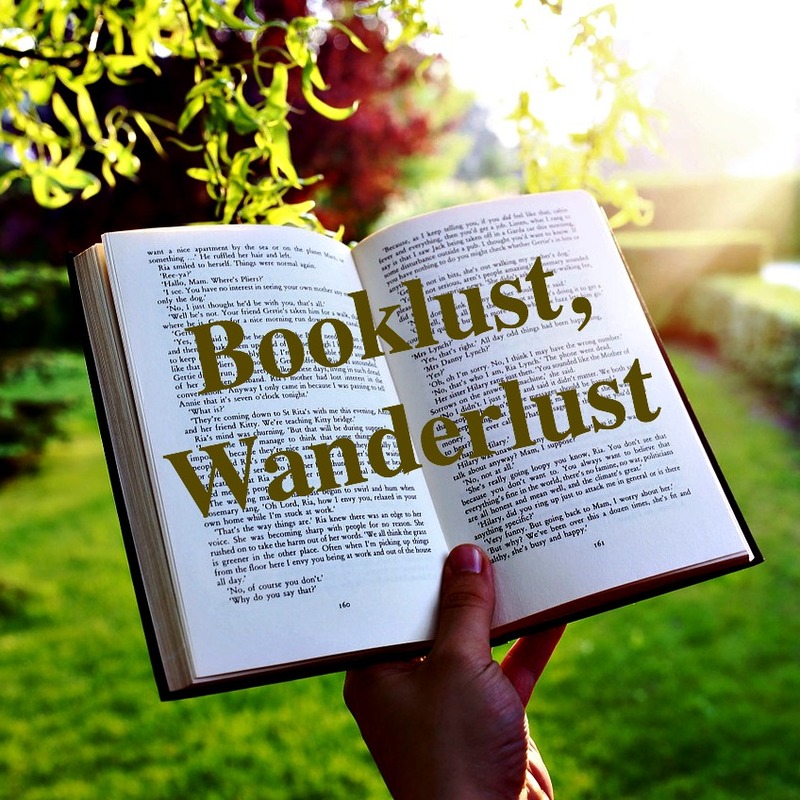 Although some readers enjoy both epic fantasies and romantic comedies (I like to read both, after all), for the most part these books are targeted to distinct groups. The Shannon Young “brand” is already quite eclectic. It includes a bit of travel, a bit of romance, some stuff about being an expat, and some stuff about being a millennial. These bits and pieces are a reflection of my writing journey—and myself as a person. However, they haven’t established me as a type of author in the way that, say Nicholas Sparks, Jodi Picoult, or Malcolm Gladwell are understood to represent a particular type of book. Indeed, although my Shannon Young work represents me as a growing and changing person, my first love as a reader has always been fantasy and science fiction. Diary, I seem to be evolving in the direction of a Nora Roberts. Roberts is of course known for one type of fiction (romance), whereas her pseudonym, JD Robb, is famous for another type (futuristic scifi police procedurals). Except that I’m approaching it the other way around: building a brand around my pseudonym first, as my Jordan Rivet books outsell my Shannon Young books by a significant margin. Launching the Jordan Rivet name meant launching an income-generating career. When I started the Seabound Chronicles, a post-apocalyptic adventure set at sea, I already knew it wouldn’t match my existing books. My readers wouldn’t necessarily follow me quite that far across a genre divide. I also knew I’d likely write some high fantasy when I became a good enough writer to try my hand at my very favorite genre of all. Since I’d be starting from scratch with my readership, I figured I’d go the whole way and create a new Science Fiction & Fantasy (SFF) brand. uncommon enough that I’d no longer be confused with all the other Youngs out there (they are legion). And the name I settled on even pays homage to one of my favorite fantasy writers (RIP Robert Jordan). I like to think of Jordan Rivet as the cooler, sexier version of myself. She works harder, writes faster, is better at writing dialogue, and takes more risks than the more introspective Shannon Young. You expats will likely recognize this split-personality complex. You probably feel like a different version of yourself depending on which country you are in at any given time. And you know what it’s like to resume an old role when you return to your home country for a visit and pick up right where you left off as soon as the holiday ends. Surprisingly, it’s possible to do this as a writer as well. Two publishing paths diverged in a narrow . . . hipster neighborhood? Diary, as you may have gleaned from my previous entries, there’s a further way Shannon Young and Jordan Rivet differ: in their publishing paths. I’ve only ever queried agents and publishers and signed traditional book deals as Shannon Young. It’s very much a hybrid name and includes some small press titles, an audiobook deal, a Kindle Single, and some self-published work. As Shannon Young, I’ve been able to speak at the Hong Kong International Literary Festival and present the traditionally published “stamp of legitimacy” that some outlets still require. But Jordan Rivet is an indie name all the way. I’ve never submitted a Jordan Rivet story to an agent. I publish the books when they are edited and ready, not when someone tells me I can. It has been incredibly empowering to take this path, and it has prompted me to improve my writing and to pay more attention to the market. And you know something, Diary, I have a good feeling about Duel of Fire, a book that wouldn’t exist yet if I were still waiting for the Seabound series to make its way through the traditional pipeline. Obviously, different methods are right for different books and different types of writers. But indie publishing has allowed me to take my work to the next level, and I can’t wait to see the outcome of the launch that began this past weekend. Don’t forget to pick up your discounted copy pronto! p.s. to Diary Readers: Do you have experiences you can share where you’ve adopted different personas in different situations? Do these personas come with different names too? If you enjoyed this post, we invite you to register for The Displaced Dispatch, a round up of weekly posts from The Displaced Nation and much, much more. Register for The Displaced Dispatch by clicking here! DIARY OF AN EXPAT WRITER: Back in full-time writing mode and full of resolution(s) for 2016! 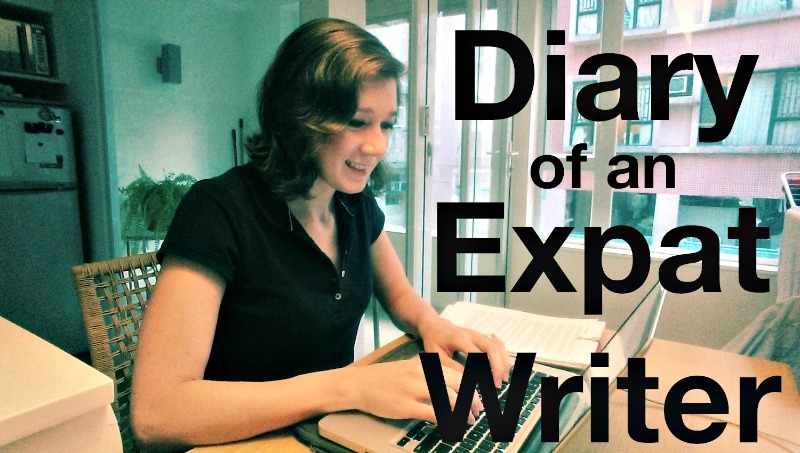 DIARY OF AN EXPAT WRITER: Still reeling from reaching the end of my 4-book series in 3 years! DIARY OF AN EXPAT WRITER: There’s no place like home, especially when your compatriots are reading your books! Photo credits: Photos of Shannon and her books were supplied. Some expats may be glad they are living far away from home on Valentine’s Day: what a mushy holiday! Whereas others may be pining over love they’ve left behind…or haven’t yet found, but keep searching for, on their travels. Now, I suspect that those in the first two categories equal or outnumber those who are enjoying new loves and ways of celebrating love! But no matter what category you are in, I hope I’ve got you covered with this list of ways to spend an expat-themed Cupid’s Day. Valentine’s Day is the perfect excuse to discover the aphrodisiac foods your new country offers. That’s how Displaced Nation founder Kate Allison saw it when she created this list of seven foods to seduce your valentine (or not), wherever your home and heart may be. The choices range from the predictable (oysters and chocolate) to the exotic: ever tried Coco de Mer? Not in the mood? Join a party going out for a Chinese New Year’s feast. While there, reflect that this is the kind of meal that would be wasted on two people. Telegraph Travel has helpfully provided a list of where to celebrate in Chinatowns around the world. Hey, you’re an overseas traveler, so what’s to stop you from booking a flight to one of the world’s most romantic destinations? A family of three who have traveled nonstop for a decade have narrowed the list of places with a certain je ne sais quoi to six. Tahiti tops that family’s list, but if you’re someone who prefers urban beauty and sophistication, you might want to check out the world’s 50 most beautiful cities, as curated by two Condé Nast Traveler editors. Or perhaps you’re envisioning a romantic drive to a picturesque small town, where you and your beloved can stroll hand in hand down the street and enjoy each other’s company at a leisurely pace? Smarter Travel offers a list of 10 such towns in North America, and Condé Nast Traveler has just published a list of the 10 most romantic small towns in Italy (the ultimate setting for romance, surely?). There is nothing quite as daunting or exhilarating as setting foot all alone in a place you’ve never been before. This being a site for displaced creatives, I mustn’t neglect the romance that can be found in books, both fiction and non-, about overseas adventures. Expat author Tracy Slater has made it easy for me: she recently compiled a list of six romantic books with an expat theme in a post for WSJ Expat. She says her choices reflect love’s many moods: from sweet to sultry to bitter and beyond. For “sweet” (and let’s keep it to sweet, since we’re celebrating Cupid’s Day), she suggests reading Where the Peacocks Sing: A Palace, a Prince, and the Search for Home, a memoir by Alison Singh Gee. It’s a modern-day fairy tale about how a Hong Kong-based journalist with a flair for fashion and a taste for high-born British men finds her prince, a humble foreign correspondent from India. She moves with him to the family “estate,” a crumbling palace in the Indian countryside, and all kinds of cross-cultural adventures ensue. Not in the mood? Console yourself with the newly translated (from the French) How to Talk About Places You’ve Never Been, by Pierre Bayard, who is a French literature professor and psychoanalyst. Among other things, Bayard argues that the travel you do in your own mind is superior to any other and that all travel, really, is a search for self. By the way, if none of the above appeals and you’re still feeling empty hearted, I suggest you study the results of the InterNations survey showing the top 10 places for expat romance. According to the latest findings, you may want to move to the Philippines, Thailand, or Ecuador if the idea is to hook up with a local resident. Only promise me one thing: you’ll read my Cross-cultural marriage? 4 good reasons not to rush into it… post before you let the relationship get serious! ML Awanohara, one of the Displaced Nation’s founders and its current editor, often composes pieces of this kind for the weekly Displaced Dispatch. Why not subscribe as a Valentine’s gift to yourself and/or encourage your beloved to do so as well? Photo credits: All photos are from Pixabay. It has been a few months since my last entry. When we left off, I had just completed the final book in my post-apocalyptic Seabound Chronicles, and I was working a part-time job that had me trekking to a different corner of Hong Kong each week to teach a reading program in local schools. Well, it’s a new year, Dear Diary, and I’m starting fresh in a big way. The four titles in the Seabound Chronicles are now out in ebook and paperback, and they are being read by an ever-growing number of people. I’m back to full-time writing, with an even greater appreciation for the beauty of uninterrupted time. My sales ranks and income are trending in a decidedly positive direction. My New Year’s resolution is to continue writing in a full-time capacity without needing to take piecemeal teaching work. If my calculations are correct, another two strategically positioned novels and a box set of the Seabound Chronicles will put me firmly into “don’t need to get a new job” territory. It’s more than a resolution: it’s my mission. I’ve planned ahead a bit, so I already had rough drafts of the two novels in question when the year started. There’s just one catch: I need to do all of these things by April! I have three months before I may need to start looking at job openings again, and I don’t intend to waste them. Having limited time throughout the fall has given me new motivation to make the most of every hour. So the challenge is there, and the stakes are set. January is a serious writing and revision month. That means 7-8 hours a day at Starbucks for the writing, and more time at home for research and publishing miscellany. That means eating, sleeping, and breathing my stories. That means working some weekends. That means staying focused. It has been awesome so far. I finished up the second draft and polished off the third draft of Duel of Fire and sent it my first round of readers in the first week of January. I did the same with the first and second drafts of Ferry Tale in the second week (it’s much shorter, in all fairness). While my diligent and self-sacrificing beta readers are going through Duel of Fire and Ferry Tale, I started the sequel to Duel of Fire, which is tentatively titled King of Mist. In Week 3, I wrote 50,000 words. That is one full NaNoWriMo. I know the characters, used an outline, and spent a minimum of eight hours writing each day, which is the only way I could manage to reach that word count. I expect to complete the rough draft in the first half of the fourth week in January, around the time you are reading this. One thing I learned from the Seabound Chronicles is that sales increase exponentially with multiple books out in a series and quick releases, so I’m aiming to have the sequel ready for publication by May. February, the month for love, is the month for Ferry Tale. The plan is to finish the final draft and publish in time for Valentine’s Day. The Seabound box set will launch in March, three months after the publication of the final book in the series. Hopefully this will give it a nice boost while I prepare for the launch of the new Jordan Rivet series. Meanwhile, work on Duel of Fire and its sequel will continue throughout February and March. I’ve booked an editor for March 9th, leaving no room to mess around. (The cover should be coming back from the designer around then as well, and it’s going to be wicked cool!) Pub Day should happen around April 1st—no fooling! I’m hoping that by the time the sequel launches I’ll have earned another few months in No-Day-Job Land. It may sound like I’m rushing these books. But the honest truth is I’m still going to end up doing four to five drafts of each one, just like for the Seabound series. I’m simply spending more hours in the chair. It’s a far sight better than writing on a minibus as it swerves all over the New Territories, which is what I did during my teaching contract! I’ve also found that—shockingly—I’m getting better at this. The more I write the easier it is. I’m creating increasingly detailed outlines for my books in advance, which makes the writing itself faster and the books better. My prose needs less polishing because it’s getting down on the page in better shape. And the knowledge that I am capable of completing books makes completing books less daunting. So the plan for 2016 is to work harder, work smarter, work for more hours each day, and get these stories out into the world. I’m excited about the possibilities. 2015 was the warm-up. 2016 is going to be big. By the way, Diary, if you see me at Starbucks too long after dark, you should probably tell me to go home. Photos of Shannon and her books were supplied. Second photo (collage), top row: 2016 Calendar, by Jeff Djevdet; 13/365, by Kate Williams, both via Flickr (CC BY 2.0). The March 2016 calendar is from Pixabay. Last photo: Starbucks, by Mohamed Adel via Flickr (CC BY-SA 2.0).